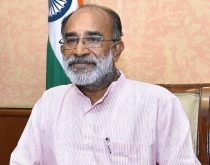 Union Tourism Minister, K J Alphons, will chair the National Tourism Advisory Council (NTAC) meeting to be held on February 21- 22, 2019, at the site of the newly made Statue of Unity, Kevadiya in Gujarat. Apart from regular members of the NTAC, experts from the hospitality, travel and tour industry have been invited to attend the meeting. The objective of the brainstorming would be how to achieve a target of 5 million visitors to the Statue of Unity by next year. The world’s tallest statue of the iconic leader Sardar Vallabh Bhai Patel is 182 meter tall.